Excellent bokeh and wonderful colors. I agree - excellent bokeh! Such a lovely summery shot! I'm glad you reminded us to enlarge the photo Misty, absolutely stunning! I used to pick them by the arms full Good birthday flower!! 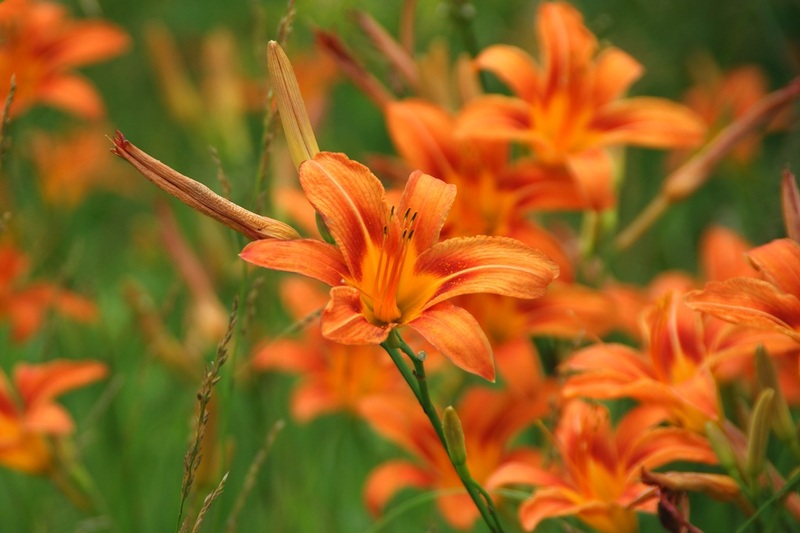 Beautiful shot of the Tiger Lilies. I am glad I clicked on it to see the larger version! It is a beautiful shot of a beautiful flower! PS I agree with you about the dogs! Misty: I love the Tiger Lily. Oh, what a delicious color! I love summer wildflowers!